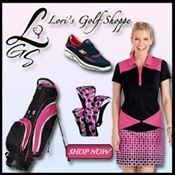 If you are like most golfers you’ve been invited to play in a charity tournament, league event or business networking featuring golf. And the format often used in tournaments is match play. In other words, each hole is a separate competition. The player with the fewest strokes on an individual hole, wins that hole and the player who wins the most holes, wins the match! It sounds simple enough, but match play has a whole set of peculiar rules that have to be followed, and ignorance is no excuse. (USGA Rules & Decisions March Play) You also have to play a more focused game, keeping track of your own score as well as your opponent’s situation. Tactic 2: Know Your Game and Play It! Unless you are a five-handicap player or better, do not take literally the notion of playing against par. Play instead against your “personal par,” a scorecard that you have a reasonable chance of beating. Maintain your usual pace of play — don’t let an exceedingly slow or fast player get you out of rhythm. Tactic 3: Put On Your Poker Face You will have some good holes and some bad holes, and so will your opponent — this is the essence of match play. The key is to maintain your composure. Don’t get too elated when you go ahead or too dejected when you lose ground. Tactic 4: Try Hard From the Start The first hole is just as important as the last — in fact, a fast start puts immediate pressure on one’s opponent. 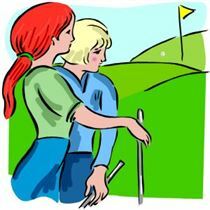 The wise player thus gets straight to business, with a minimum of socializing on the early holes. Tactic 5: Don’t Give Up When You’re Down Never say never, either in the course of a match or the play of a hole. Let’s say Player A puts her approach to a par four on the green 30 feet away, and then Player B knocks her ball into a pond in front of the green. Too often, this is where B concedes the hole, in her mind if not aloud. The fact is, she still has a chance. By taking a drop, pitching close, and holing the putt she’ll make a five, forcing Player A to two-putt for victory or three-putt and halve. In singles match play, many holes are won with a bogey. Tactic 6: Don’t Let Up When You’re Ahead With five up, play greedily for more — play a five-yard putt as if the match depended on it. Tactic 7: Watch the Course Since the golf course is your first opponent, you should make a point of knowing what sort of condition it’s in. Some practice putting before the round will help you with the speed of the greens. As you walk through the holes of the match you should pay attention to flag positions on the upcoming holes. Most important, watch the way your ball and your opponent’s ball behave on landing — this will give you an idea of the hardness of the fairways and greens, a factor that affects club selection both off the tee and into the green. Tactic 8: Watch Your Opponent If you aren’t familiar with your opponent’s strengths and weaknesses, by watching him or her closely you may learn something early in the match that could help you later on. Tactic 9: Keep It In Play In most matches, accuracy is much more important than distance. Even when you are out-hit from the tee, you have an opportunity to be the first one on the green, thus putting the pressure back on your opponent. Tactic 10: When In Trouble, Be Patient One situation where patience is particularly vital is on the tee after you’ve hit a drive out of bounds. At this point, most golfers hastily tee up a second ball despite the fact that, strictly speaking, it is their opponent’s turn to hit. The wise move is to back off and allow the opponent to play (after all, she too may hit into trouble), allow yourself some time to cool off, and then tee up a second ball. 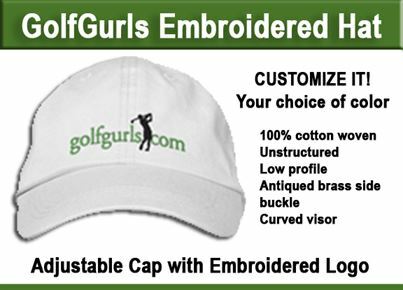 Most battles on the golf course are won not by the transcendent brilliance of the victor but by the mistakes of the vanquished. Be patient and eventually your opponent will win you the match. Played in a match? What was the biggest challenge? Use the comment space below to share three words that describe your experience. It’s really important to keep a level head in match play, no matter what. Easier if you are playing with a partner, but if you’re alone and you really lose your cool, it’s very hard to get it back. Happened to me this spring. Lost three balls in one match!!! (Playing at a beautiful course along the ocean… ) No way could I recover! Took a week to get over it. So it happens to golfers of all levels.